All roads lead to home. Here, in Toronto’s cherished east end, life is second to none. 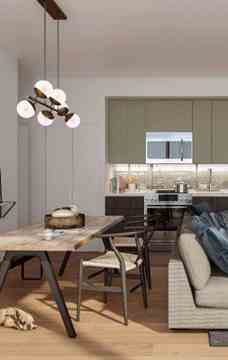 Home (Power + Adelaide) is a condo development by Great Gulf Homes and Hullmark in preconstruction. Home Condos is a 21-storey condo which has 550 suites ranging from 1-Bedroom to 3-Bedroom. The condo development is scheduled for completion in 2020. A U-shaped design by Core Architects. Two connected wings of 15 storeys frame the north and south edges of the site. A seven-storey block sits perpendicular above the two wings. The alternating white and black facade allows for a softer look at street level, where expansive windows invite entry. Smaller retail units will be included on the ground floor of the four-storey podium, while the level above features a single large space suited to a grocery store. 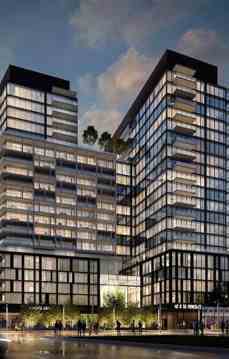 Home (Power + Adelaide) Condos located at 48 Power Street, at Adelaide St East and Parliament and is in close proximity to Don Valley Parkway & Gardiner. George Brown College and Ryerson University are close-by.